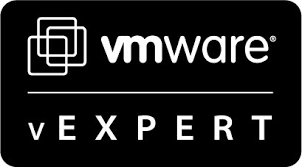 I’m excited to announce that I’ll be speaking at the Scottish VMware User Group meeting in Glasgow on Thursday 21 April. I will be hosting a community session titled “How to ensure your VDI implementation doesn’t run like a three-legged rocking horse”. A Virtual Desktop Infrastructure project is easy to implement, but to make it efficient and snappy for all users can often be trickier than expected. In my session I aim to outline key measures you can take to ensure your VDI implementation runs as smoothly as possible. I will discuss a number of issues I have seen with various deployments, and what you can do to avoid them. Along with my talk, there’s an exciting line up of speakers separated into two tracks. In track 1, Kim Ranyard will deliver a session on vRealize Codestream; Lee Dilworth will be discussing storage and availability; whilst Matthew Steiner will demonstrate how to get started with Log Insight. In track two, Andy Kennedy, Kieran Walker and Richard Machen discuss the benefits of adopting NSX in your environment . In addition to those above, James Cruickshank will be talking about Sky’s journey with VSAN from design to implementation, and Brian Gerrard will talk about SDDC automation from a Window’s guy perspective. Zerto, Nutanix and Nimble Storage will be sponsoring the event, with vBeers afterwards. For further information please go to https://www.vmug.com/p/cm/ld/fid=12630. ← Have you checked out the VMUG Advantage?